Vice-Admiral Sir Humphrey Thomas Walwyn KCSI KCMG CB DSO (25 January 1879 – 29 December 1957) was an officer of the Royal Navy, who served during the Second Boer War and World War I, and was the Commander-in-Chief of the Royal Indian Navy from 1928 until his retirement in 1934. He then served as Governor of Newfoundland from 1936, throughout World War II, until 1946. Walwyn joined the Royal Navy in 1893, spending two years training at the Dartmouth Britannia Royal Naval College before joining the battleship Camperdown with the rank of midshipman. He served as acting sub-lieutenant from December 1898, and was confirmed in this rank on 7 February 1900, when he was posted to the pre-dreadnought battleship HMS Illustrious, serving in the Mediterranean Fleet. Later that year he was promoted to lieutenant on 15 December 1900, seeing action in the Second Boer War. In 1904 Walwyn was posted to Excellent, the Naval Gunnery School at Whale Island, Hampshire, as a Gunnery Lieutenant. After a year he went on to serve as Gunnery Lieutenant aboard the cruiser Drake, and the battleships Superb and Neptune, until promoted to commander on 1 July 1912. Walwyn was then appointed Assistant to the Director of Naval Ordnance at the Admiralty, remaining in that post through the first year of World War I, finally returning to sea duty in 1915 as 1st Lieutenant of Warspite. There he saw action in the Battle of Jutland on 31 May – 1 June 1916, and was subsequently awarded the Distinguished Service Order on 15 September. He was promoted to captain on 31 December 1916, and in June 1917 was awarded the Order of St. Stanislas, 2nd Class (with Swords) by Russia. Walwyn was appointed commander of the first class protected cruiser Gibraltar on 17 January 1919, and, from 29 April 1920, he commanded the destroyer leader Spenser, also serving as Captain (D), 2nd Destroyer Flotilla. From 1922 he served as Captain (D), 7th Destroyer Flotilla, and as Senior Officer, Mediterranean Destroyers, before returning to the Admiralty in 1924 to serve as Director of the Gunnery Division. He took command of the battleship Queen Elizabeth in March 1926, until she started a refit later that year. Soon after, he took command of Valiant, remaining with her until March 1927. 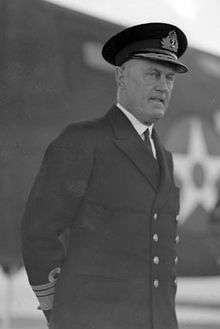 On 29 February 1928 he was promoted to rear admiral. He was appointed a Companion of the Order of the Bath (CB) on 4 June 1928. The same year Walwyn was appointed Flag Officer Commanding and Director of the Royal Indian Marine, receiving promotion to vice-admiral on 1 November 1932, and on 2 January 1933 was made a Knight Commander of the Order of the Star of India (KCSI). He oversaw the change of the Royal Indian Marine to the Royal Indian Navy in October 1934, of which he was the first Flag Officer Commanding, but retired in November 1934 after only a month. He was placed on the Retired List on 15 December 1934. From 1936 Walwyn served as Governor of Newfoundland and chairman of the Commission of Government. On 6 June 1939 he was appointed a Knight Commander of the Order of St. Michael and St. George (KCMG). During World War II he was active in encouraging Newfoundlanders to join the war effort. In 1946, he retired to Maiden Newton, Dorset, where he died in 1957. In recognition of her public and philanthropic work for the community in Newfoundland, his wife, Lady Eileen Walwyn (1883–1973), was created a Dame Commander of the Order of the British Empire on 1 January 1947. ↑ The London Gazette: (Supplement) no. 27163. pp. 908–909. 9 February 1900. ↑ "Naval & Military intelligence". The Times (36055). London. 2 February 1900. p. 10. ↑ The London Gazette: no. 27267. p. 394. 18 January 1901. ↑ The London Gazette: no. 28623. p. 4748. 2 July 1912. ↑ The London Gazette: (Supplement) no. 29751. p. 9071. 15 September 1916. ↑ The London Gazette: (Supplement) no. 29886. p. 12. 29 December 1916. ↑ The London Gazette: (Supplement) no. 30116. p. 5592. 5 June 1917. ↑ The Navy List. February 1919. p. 800. Retrieved 7 February 2014. ↑ The Monthly Navy List. December 1920. p. 866. Retrieved 7 February 2014. ↑ Mackie, Colin (2011). "Captains Commanding Royal Navy Warships" (PDF). gulabin.com. Retrieved 7 February 2014. ↑ The London Gazette: no. 33362. p. 1493. 2 March 1928. ↑ The London Gazette: (Supplement) no. 33390. p. 3847. 1 June 1928. ↑ The London Gazette: no. 33880. pp. 6992–6992. 4 November 1932. ↑ The London Gazette: (Supplement) no. 33898. p. 5. 30 December 1932. ↑ The London Gazette: (Supplement) no. 34633. p. 3855. 6 June 1939. ↑ The London Gazette: (Supplement) no. 37835. p. 19. 31 December 1946. "Profiles of Governors: Sir Humphrey Thomas Walwyn, 1936-1946". Newfoundland and Labrador Heritage Project. Retrieved 29 March 2016.